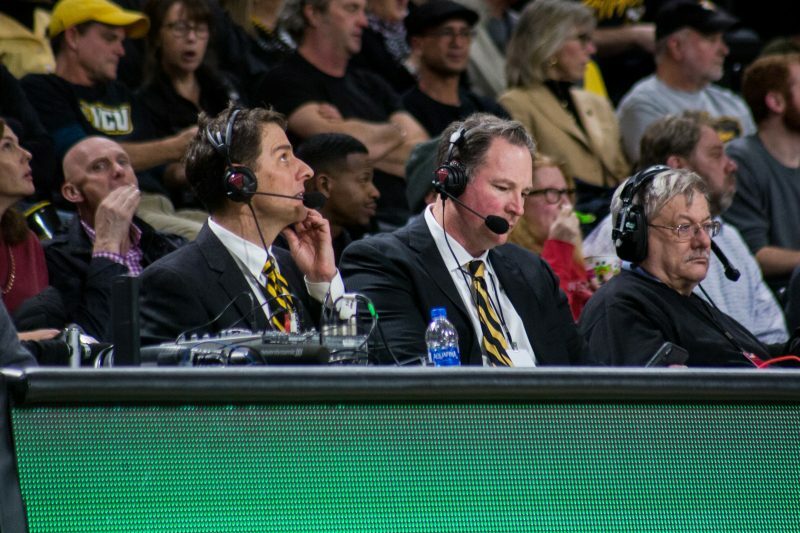 For more than a decade, Robby Robinson has been painting the picture of the hardwood at the Siegel Center in the minds of those who tune in every night. Robinson has sat behind a microphone illustrating Men’s Basketball’s biggest moments for the last 11 years, including the 2011 Final Four run. He said his favorite moment was VCU’s win against Florida State. 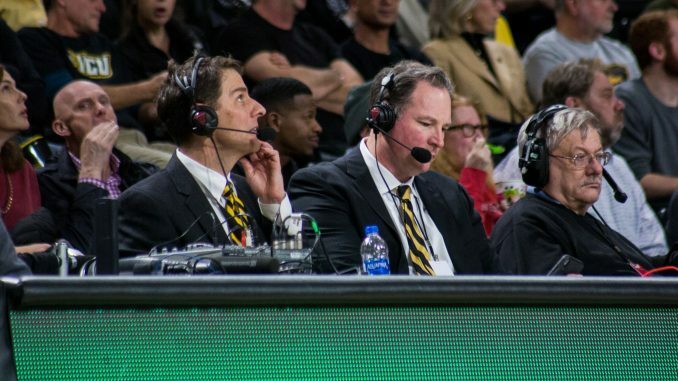 Robinson serves as the play-by-play broadcaster for Ram Radio on Fox Sports 910 and general manager of VCU Sports Properties. He said he’s wanted to work in radio since he was 5 years old. Robinson manages advertisements at Men’s Basketball games, whether it’s radio broadcast, on-court promotions, signs around the Siegel Center or other forms of digital advertising. His job also includes looking for businesses that want to advertise products or services to VCU fans. Robinson and his team create ways to present the businesses’ message to the fans at home games. Preparing for a game broadcast and performing his day-to-day duties on the sales side is a balancing act for Robinson. Robinson takes about an hour of his time on gameday to set up his equipment and record a pregame interview with Men’s Basketball coach Mike Rhoades. Once he finishes the interview, Robinson flips back into sales mode until performance of the national anthem. Robinson played baseball at Virginia for four years, so when the Rams face the Cavaliers he gets to return to his alma mater. “People always ask me, ‘who you pulling for today?’ and I pull for the Rams,” Robinson said. Robinson said he loves every minute of his job and doesn’t take it for granted.